Have you ever experienced having what we call a sticky situation with Super glue, wherein you accidentally spill some of it on surfaces, particularly glass tops of the center table or work table? Have you tried countless of times to remove it using your fingers and just ended up wounded in the process? When situations like this arise, the first solution that comes to mind is to scrape the glue off with a razor. But admit it, you ended up getting your fingers and hands scraped as well without being able to remove the mess cleanly, right? In the end, all you got is a messy glass top full of razor scratches. Others even look and buy expensive glass cleaners just to remove the stains. It's not really budget-wise, not to mention the hassle of looking and trying one product after another. We are all aware of the struggle on removing this hard-headed mess. Save your hands﻿,﻿ fingers, and glass from those scratches with this simple method using Acetone. Acetone or commonly know as Nail Polish Remover is a common staple in every household, especially if you’re a girl. If you don't have one at home, it could easily be bought at any convenience store. Acetone is also the cheapest glass cleaner that you could use in the market. Depending on the stains to be removed, you don't even need to use a lot of it just to get the same result as using glass cleaners. 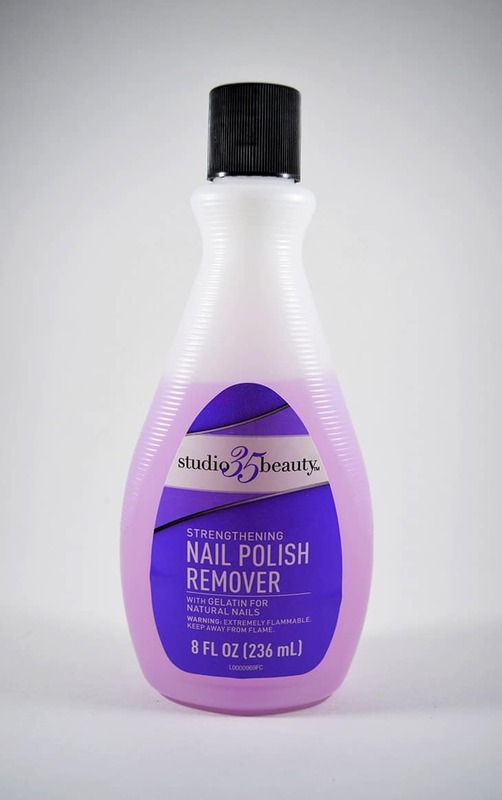 Acquire a bottle of Nail Polish Remover from you Nail kit, look around the house for anything with Acetone as ingredient, borrow your mother's or sister's, or run to the nearest convenience store. If you're trying to remove a large stain or plenty of super glue off a glass, you better buy a large one. As many as the glue stain that you will be removing. Preferably the cloth you use to wipe your glasses or glass top to avoid scratching the smooth surface. To hold the cotton in place. You could easily find one in the kitchen. If a cling wrap is not available, any soft plastic sheets could also be used. For your last chance on removing the stain. Look for something with a sharp and/or pointy edge that could help you in removing the hardened part of the super glue. Prepare the glass with the super glue stain. Lay it out on a flat surface. Examine the extent of the damage. 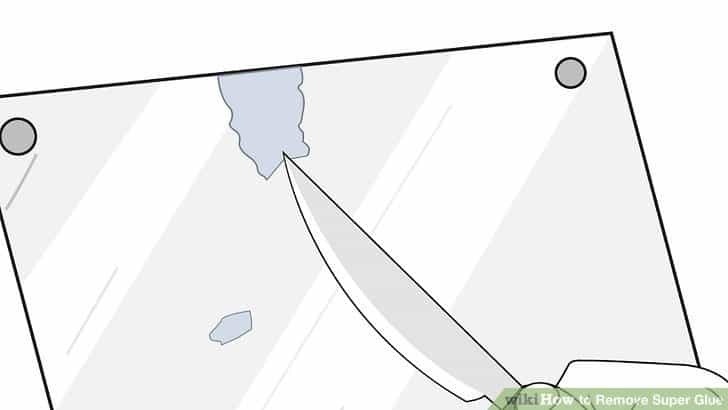 Try to remove some of the hardened stains off the glass using a knife, a razor or any sharp objects. Do it carefully to avoid making scratches on the glass top. 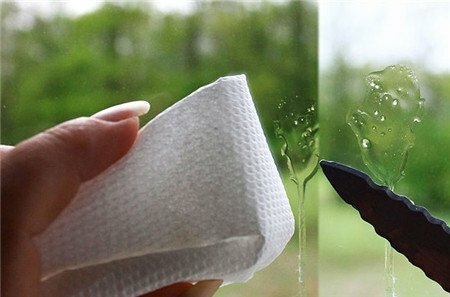 Afterwards, remove all residues from the glass by wiping it with a soft cloth. Apply acetone on a cotton ball. Use as much as needed. Make sure that the size of the cotton ball also covers the entire surface of the super glue. 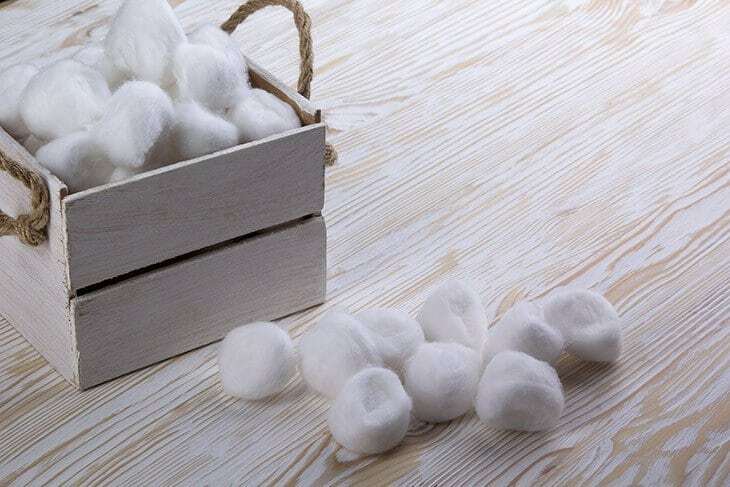 It is better to wet the cotton balls well with acetone to make sure that it will soften the super glue for easy removal. Place the cotton ball on top of the super glue and wrap the glass part with the super glue and cotton on it with a clear kitchen wrap and let it sit for two minutes. Repeat the same step to all the other sugerglued spots. Make sure that the entire surface of the super glue is covered with an acetone-soaked cotton ball. After two minutes, check the area with the acetone-soaked cotton ball. Using a soft cloth, carefully but firmly wipe the super glue off the glass. If there are little traces of stains left, you could wipe the area again with acetone using the used cotton ball before wiping it again with the soft cloth. You could also try using a razor to remove some of the hardened parts that you weren't able to remove during step 1. Small stains could easily be removed after the first application. If the damage is really huge, you will need to repeat step 3 – 5 again until the stain is fully removed. Using a soft cloth, clean the entire glass surface and check if there are any traces of the super glue left. In case there are, wet a small end of the soft cloth with acetone and firmly wipe the area until the traces are gone. You could also use a wet cloth to wipe clean the entire surface then wipe it again using a dry, soft cloth to ensure that no traces of the stain is left behind. Avoid ruining and damaging your nails by scratching the stains. It might be just a little stain, but it's still a tough nut to crack, so to avoid having bloodied fingers, just don’t. Be extra careful in handling sharp objects while using it to scratch the stain. These sharp objects might slip while you're using it especially if you're working on a glass material. Also, avoid pointing or playing while using sharp objects to keep unwanted accidents at bay. You don't need to use the entire bottle to remove the stain. Remember that acetone is an alcohol-based product and has a tendency to dry your skin. Always be careful while working. Make sure that all materials and chemicals are placed in a workspace properly to avoid spillage. There you have it! The easy way to solve a hard mess! Using this simple method, you can easily clean the mess in no time. And since Acetone is so handy, it is one of the most common materials used in this kind of situation. It’s certainly one of the cleaning hacks that will be handy once you’re caught in a mess. If you enjoyed this tutorial and managed to achieve a great result, why not try to help others like you with the same problem? Share this method to your friends and help them get rid of the messy super glue on their glass furniture as well. Also, be proud of your achievement and share your experiences in doing this tutorial with us by telling your stories in the comments section. Have fun sharing the same experiences with many others who have the same issues. Do you have any other method of removing super glue on glass? Share it with us down below. We’d love to hear your thoughts.